We stock Backer Rod in all types and sizes. Need it by the foot? Click here to see our variety of backer rod. We also provide all type of joint sealants. Our backer rod (backstop / bond breaker), is designed to work with all popular sealants including NP1 Polyurethane, a Novalink Polyether, M1, Duralink, glazing sealants and self leveling sealants like Novalink SL or SL1 & SL2, as well as butyls, polyurethane, silicones, tri-polymers, polysulfide, epoxy, acrylic, etc. The "Hot-Rod XL" Hot-Pour and "Open" celled backer rods are used with hot applied products. Expanding foam sealant tape for sealing and metal roof closure is also available. 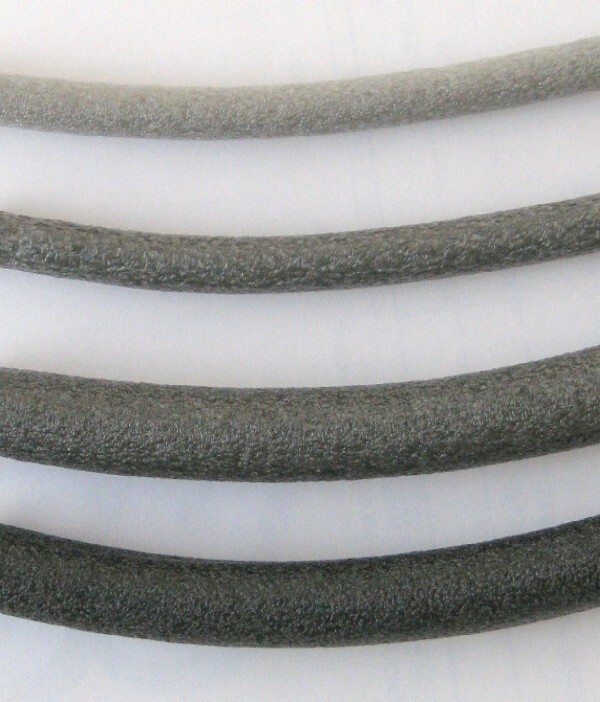 Backer Rod is an easy to compress rope-like celled polypropylene / polyolefin based foam. It is inserted into a clean joint at the required depth before adding caulk / sealant. Backer Rod creates an even depth and supports (back stops) the sealant / caulk allowing it to form the proper shape (about 2x as wide as deep) and also prevents 3 sided adhesion (bond breaker). It is especially important to use it with Self Leveling Expansion Joint Sealants. Very large and Soft Backer Rods are also used for filling gaps and for sealing in general construction. For ground or vertical. Color may be medium charcoal OR gray, See color sheet here) and is not selectable. 3-6 inch sizes may be white color. Click links below to get cost, detailed information and to order products. Backer Rod Shipping Notes. Soft Cell Product is used for more irregular joints, on tilt-wall / vertical joints, and to fill large construction gaps. Its more easily compressed. Color may be light or dark gray, (Click here see color sheet) and is not selectable. Click here to see Product Data Sheet. SOFT backer rod is highly compressible and can be easily used at widths as low as 40% of product diameter (lower in small sizes). CLOSED CELL product can be used in all applications where SOFT is specified. Click links below to get cost, detailed information and to order products. Open Cell Backer Rod is used for hot pour, where out-gassing and bubbling is a problem, or where quicker curing is needed (it enables 2-sided air exposure on some products). Open Cell foam is enable air to reach both sides of joint. VERY soft and compressible. Resistant to gas, oil and most solvents. For Hot Pour applications, generally the joint is thicker and closer to 1:1 size. Small joints should have at least 3mm (.12" compression), Available in black or yellow color. Open-cell soft backer rod is highly compressive. It serves as a backing for caulking, sealants and all types of hot pour, chemical sealant and cold sealant products. It is yellow in color, odorless and chemically inert, made from Polyurethane. Open cell backer "Denver Foam" rod can take up to 500F during hot applications and is compatible with all types of ASTM D3405, D1956 and C1330 hot pour and chemically cured sealants. Open cell allows air to reach sealant from BOTH sides during cure, providing a bubble free, faster, more uniform cure. Open cell construction eliminates out-gassing and cold flow problems sometimes associated with certain materials. Open cell backer rod can also be "saturated" with sealant and used to "carry" sealant to difficult-to-reach repair areas and to create underwater "plugs" (normally it will not absorb sealant without "working it" in). 1/2 width D-Shaped Backer Rod (= 1/2 size of the above yellow rod, Half-Rod) in yellow open foam material. Ideal for log-homes and tight-fitting, very shallow or V-shaped joints. 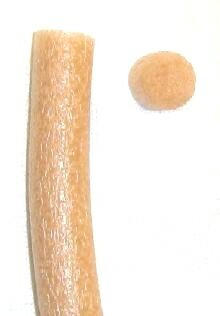 1/4 and 1/2" thick Flat Closed Cell Polyurethane Foam Backer Rod. Available in heights from 3" to 8". Used to create specification expansion joints in concrete slabs. Ideal for tight radius situations like swimming pools, round columns, etc. When working on any expansion joint, backer rod is used together with the sealant. 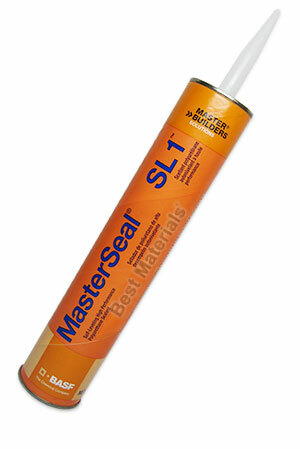 Including SL1, SL2 self-leveling sealants and with vertical grade sealants. Summmary: Pry out the old joint materials. Clean joint well (wire brush & vacuum etc). Let dry as needed. Vacuum (edges should be clean and have a fresh surface). If edges are not clean, run a grinding disk or blade across them, then vacuum again. Set backer rod as noted. Apply sealant, not thicker than 1/2 the width, measured at the center area. Do not apply sealant above the top plane of the concrete. Tires should not push down on it. 2. Clean joints (wire brush, then sweep, then vacuum). The joint or opening should be clean and dry and free of all contaminates, loose materials and free of water or frost. a. If joint priming is needed (on chalky or porous surfaces) follow suggestions for joint-sealant application as directed by sealant manufacturer. b. Where necessary, primer should be applied only to the edges of the joint surface and allowed to dry before Backer-Rod is placed. DO NOT prime Backer Rod. 4. Install Backer Rod: Lightly compress backer-rod into the joint. Install backer-rod using a blunt tool or a plain faced roller. It should form a seal againt edge of joint to prevent sealant from running out. Set the rod to the depth recommended by sealant manufacturer, (typically about 1/2 of joint width measured at the crown of the backer rod). A template or roller gauge may be used to control the depth at which the rod is placed. 5. Don't stretch, puncture or tear backer-rod during installation. 6. 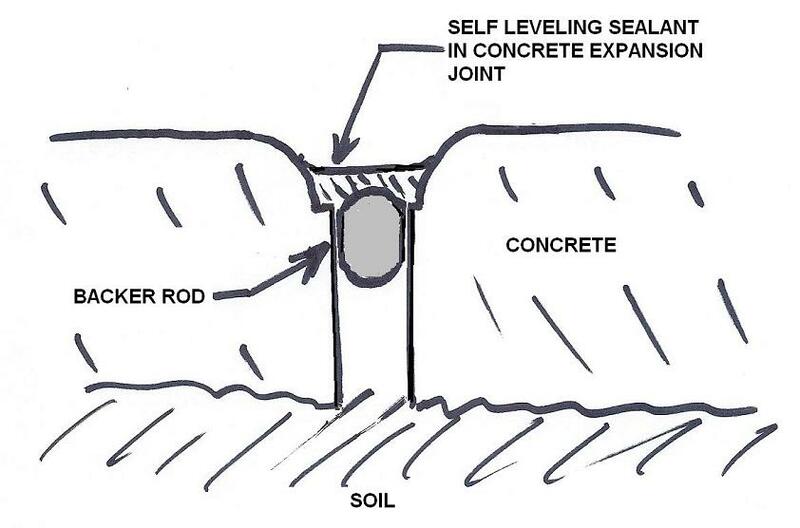 IMPORTANT NOTE FOR SELF-LEVELING SEALANT APPLICATIONS: All Backer Rod sides, joints and end areas must be completely sealed against a joint surface, otherwise Self Leveling sealants WILL run out of any gaps. Use heavy masking tape to seal ends of joints. 7. Mask areas to protect from tailing or spillage. Best practice is to apply masking tape to all joint edges. Caution: spilled sealant is almost impossible to remove completely. Mask areas before applying sealant. 8. Apply Sealant as required. For driveways or walkways, do not apply up to or above surface level. 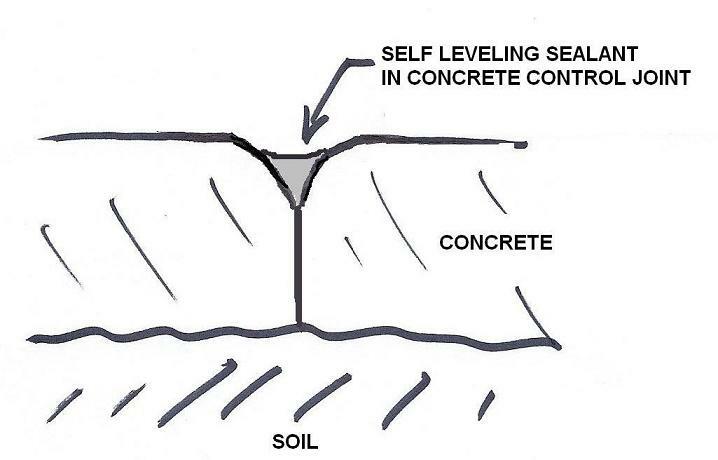 Self leveling product does not need to be tooled. Others are tooled to shape immediately as required. Click HERE to see our entire sealant/caulk product selection. 1. Where priming of the surface material is necessary, primer should be applied only to the sides of the joint surfaces and allowed to dry tack-free before the Backer-Rod is placed. DO NOT prime the Backer-Rod. Many primers ARE STAINING, be careful where they are applied. 3. As needed, tool to desired shape using a caulking tool or old spoon. Hint: For polyurethanes, wet the tool regularly with water or toluene to enable a smooth surface. Soapy water is not recommended as some soaps can interfere with joint bonds. Application Hint: Use masking tape to create clean lines and on surfaces where you do not want sealants. Sealants are very difficult to remove from unwanted areas. Soft Cell is generally used in vertical applications, above ground, or where joints are more irregular, and to fill air-gap spaces in general construction. Closed celled is generally used for ground level applications and high moisture environments. It can be used anywhere the soft-celled is used. Soft celled compresses up to 90% in smaller sizes and 50% in larger sizes. Closed celled compresses up to 50% in smaller sizes and 30% in larger sizes. Either can be used with Self-leveling sealants and Vertical Joint Sealants. Both closed and soft cell are Polyethylene based (polyolefin) foam. R-Value = 3 per inch of thickness. Our Soft, Closed Celled and Hot Rod backer rod is polyolefin based. A polyolefin is a polymer produced from a simple olefin (also called an alkene with the general formula CnH2n) as a monomer. For example, polyethylene is the polyolefin produced by polymerizing the olefin ethylene.Â Polypropylene is another common polyolefin which is made from the olefin propylene. Soft Backer Rod for residential construction is also commonly used to seal air gaps around wall or joint cavities, between pre-hung doors and windows and rough openings in wood frame homes. The low compression deflection and high compression recovery of these products will not bow windows or door jambs and adapts to seasonal joint movement. Specific uses for Soft Backer Rod includes log homes, marriage joints, sealing at attic access openings, casement window joints, some dry wall applications, wall to wall joints, wall to floor joints, and roof to wall joints, and around doors and windows in wood frame structures. Compatibility: Our our backer rod products are an inert composition and therefore compatible with all known cold applied sealants including butyl, polysulfide, vinyl acetates, PVA, acrylics, polyurethanes, tri-polymers and silicones. They are chemically inert and will resist oil, gasoline and most other solvents. These materials will not stain nor adhere to sealant materials and are non-exuding. For HOT pour and chemical sealants, use Hot-Rod or the Open Cell Foam. If bubbling / gassing is a problem, Open Cell Foam is best. More Information can be found in the Technical Data Sheets. EIFS Construction and Joint Design: See the EIFS Guide for details.Â Trouble-free EIFS application is accomplished by forming a 1/2" to 3/4" sealant gap wherever EIFS meets a non-EIFS material, such as roofing, trim, or doors and windows, according to the EIMA EIFS Guide. The correct gap makes it possible to finish the exposed edges of the expanded polystyrene, which should be wrapped with reinforcing mesh before the EPS is secured to the sheathing with a waterproofing application of base coat. Then the rest of the finish goes on. Finally, the gap is filled with soft or closed-cell backer rod and a bead of compatible sealant. Novalink Polyether Sealant is an excellent sealant for this applications. Textured Sealants are also available which cure textured to look stucco-like.